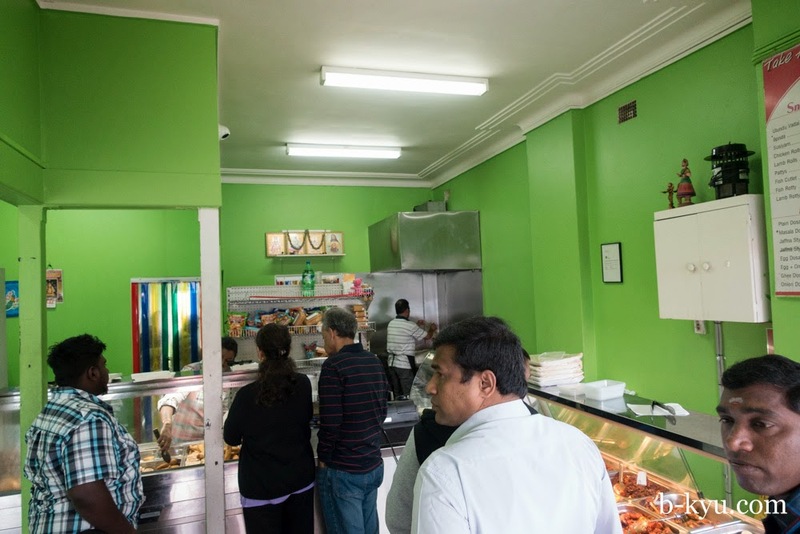 The heartland of Sri Lankan food in Sydney has to be in Pendle Hill. 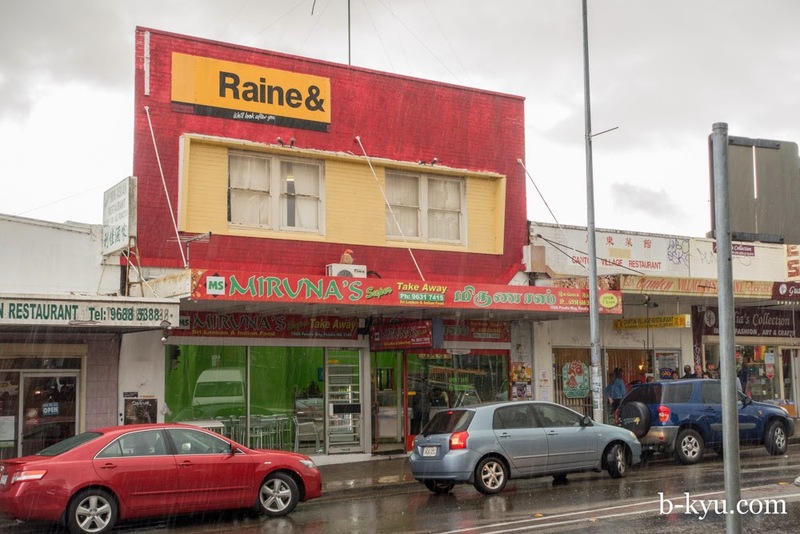 A plate of curry and rice at Miruna's Super Takeaway fills our craving for spice. Raine & ? It was certainly raining when we hit Pendle Hill for a fix of Sri Lankan curries and short eats. 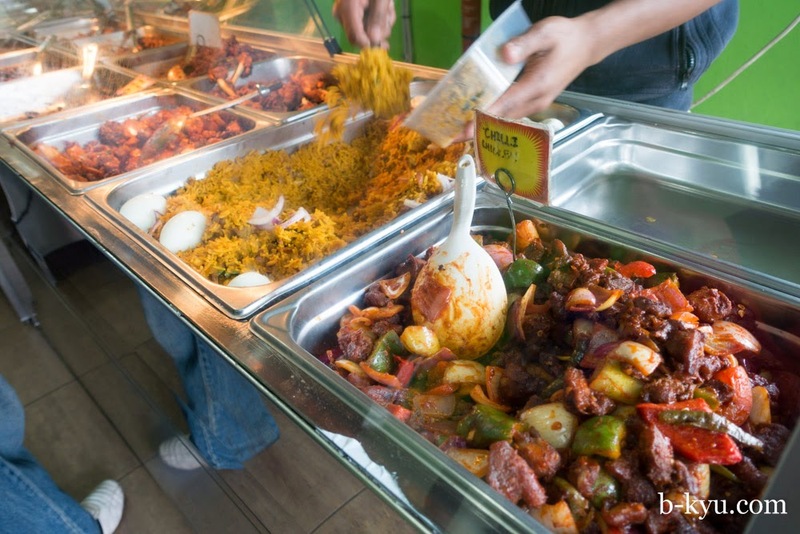 There's a wide choice, we counted at least five takeaways and even more grocery stores drifting out their smells of curries and spices along Pendle Way so we were bound to find a plate of goodness. 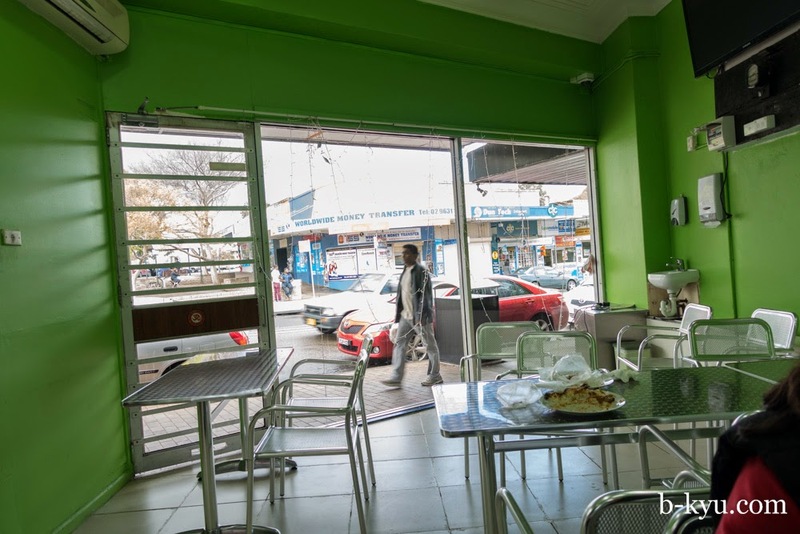 Wedged between two different old time Chinese restos, Miruna's Super Takeaway has been renovated from the old Ranjanas and given a coat of bright green paint. It's our pick for the day. There's a queue when we arrive, lining up for an assortment of curries for Sunday lunch, carefully selected and escorted home with hoppers, rotty and snacks. 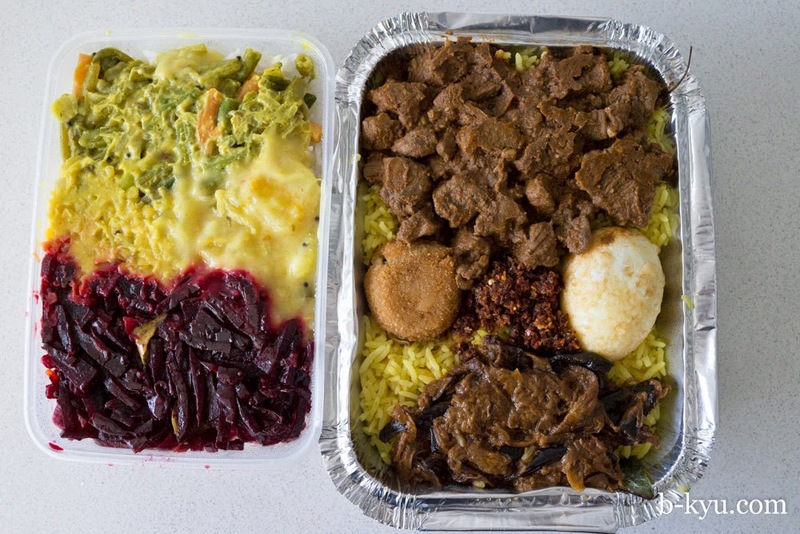 There aren't a lot of eat in options for homestyle Sri Lankan in Sydney (perhaps Indo Lankan in Seven Hills), the preference seems to be to buy up and take home for a feast. At the prices here it makes a great idea for an eat at home fest. The choice at Miruna's is extensive: chilli chicken, fried drumsticks and lamb biryani at one end. 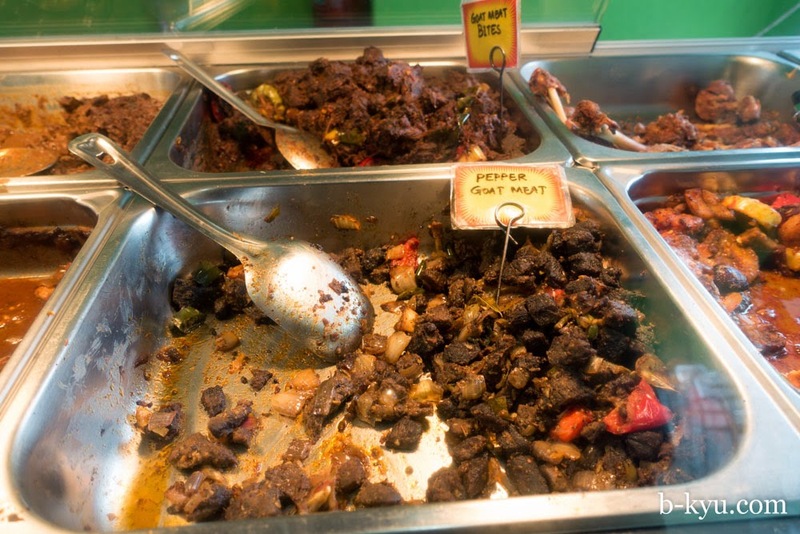 Three different goat curries on offer (pepper, bite size pieces or goat in gravy) as well as a seafood mix and a fish curry. The vegetable curry dishes are extensive, choose from dahl, mushroom, eggplant, beetroot, spinach and more, some have a creamy base, others a tomato one. 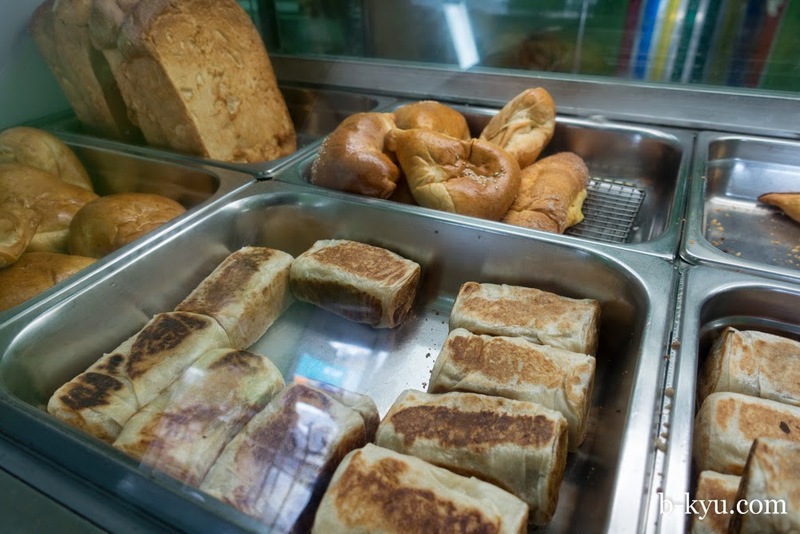 The short eats or small fried snacks fill another counter, and there are string hoppers and plates of rotty (roti) on the bench tops to either eat with your meal in or take home. 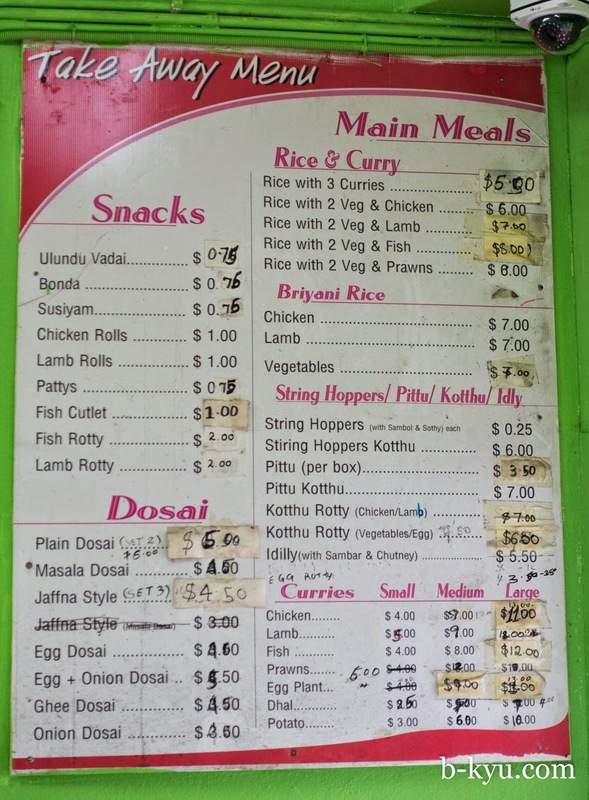 Three choices of curry on rice is $9 to eat in (less for all veg). 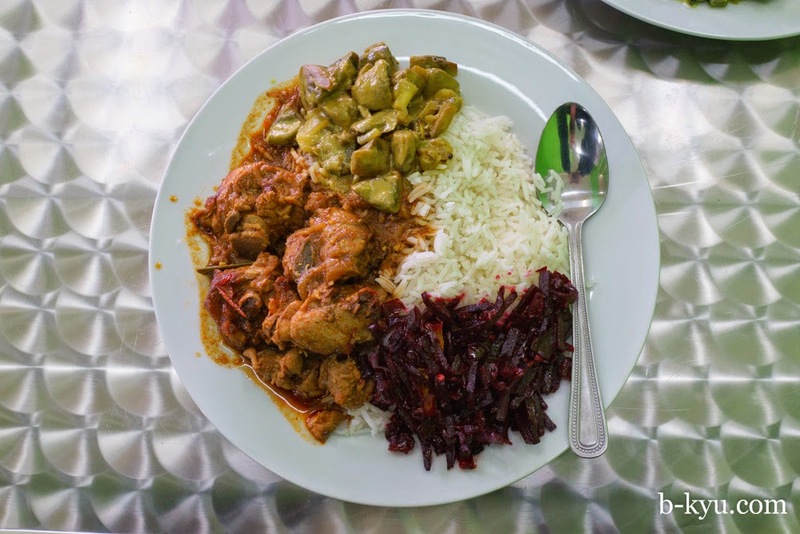 Shawn selects a chicken curry, mushrooms and a beetroot curry, one thing we absolutely can't leave behind and have to choose every time. We highly recommend, in fact we insist, that you try at least a couple of the vegetable dishes. The meat dishes are good but the veggie dishes are incredible, pretty much how we remember them from our trip to Sri Lanka, cooked and spiced just so. If you load up on meat dishes only you will miss the magic of Sri Lankan food, in our opinion anyway. Alison goes the goat in bite sized pieces, almost a rendang version of the meat. A creamy eggplant curry and a spinach version complement. Bonus beetroot curry, what a score, no stealing required! The eat in area is sparse, there's a hand basin for cleaning up if you choose to eat in the traditional way with your fingers. We also picked up some takeaways for dinner. 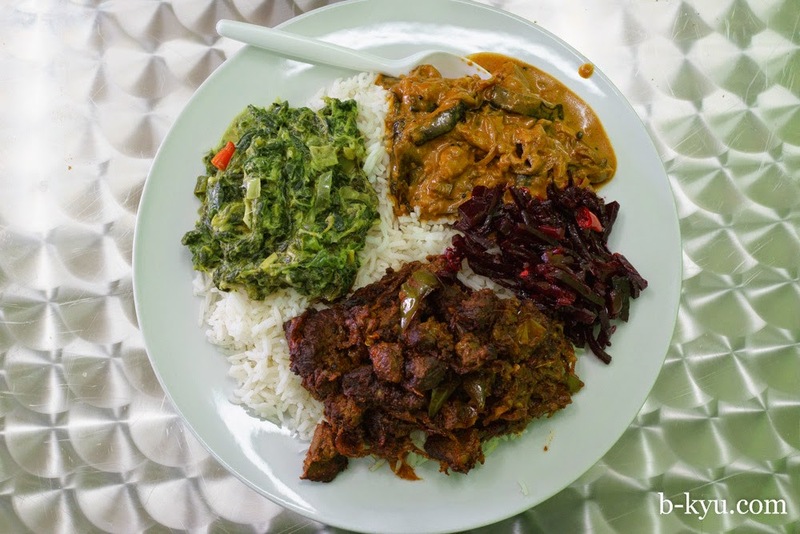 Three veg curries and rice for $5.50, green bean, pumpkin and cassava and the irresistible beetroot. On right is a lumpraise meal, made in limited numbers. We chose mutton, but chicken was also available. Served with a fish ball, boiled egg, chilli sambal and a spoonful of eggplant curry. 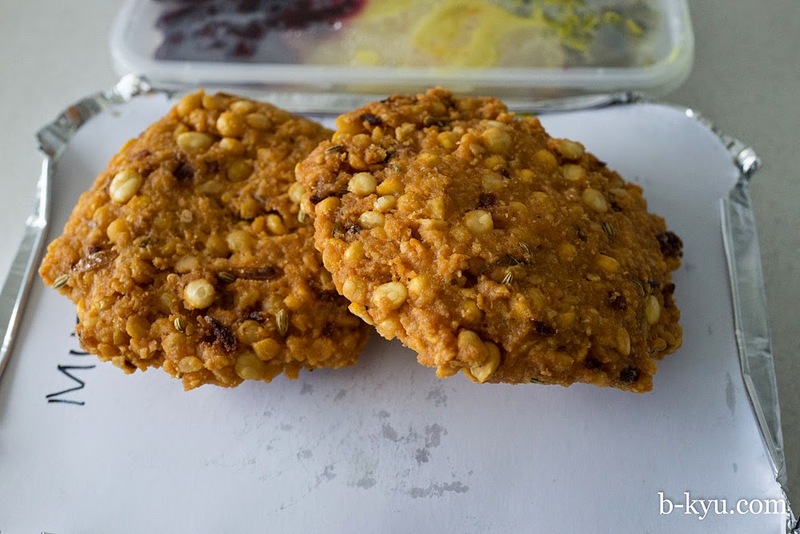 Crunchy lentil vadai from the snack bar at 75c each. Amazing these survived the train journey home. The takeaway prices are incredible, no wonder there were queues. 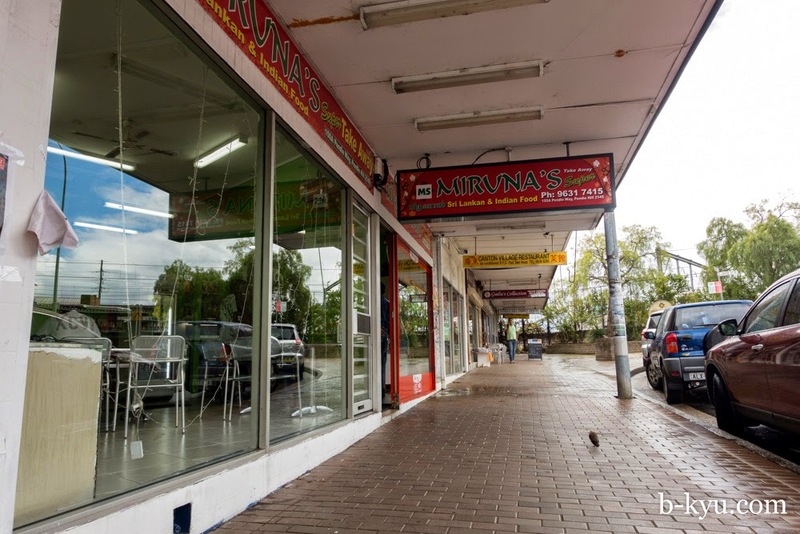 Miruna's Super Take Away is at 150A Pendle Way, Pendle Hill. Parking is abundant and it's about 50 metres from the train station so you have no excuse not to go, unless the dog ate your homework. What a great find! Looks like the bain-marie of love over flows here with choices. Now, was there a "No EGB - No Food" sign?